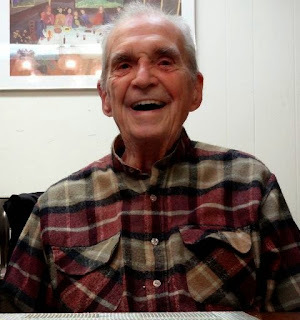 Pax Christi in Australia : TEACHER OF PEACE: Happy 94th Birthday Dan Berrigan! Today is Dan Berrigan’s 94th birthday! If you’re not familiar with Dan, here’s the Wikipedia page article on him with links to more. Dan is one of the truly extraordinary prophets of our time, an author, activist and poet, and a Pax Christi USA Teacher of Peace. All of us at Pax Christi USA wish Dan a very Happy Birthday!